Six ph II clinical trials ongoing with first-in-class highly selective AXL inhibitor BGB324. Monotherapy data at 19% RR in relapsed/refractory AML and high-risk MDS reported at ASH. 50% CBR with BGB324 in combination with erlotinib in NSCLC reported at World Lung. BGB324 in combination with docetaxel as last line therapy in NSCLC showing very promising early efficacy at 66% CBR. 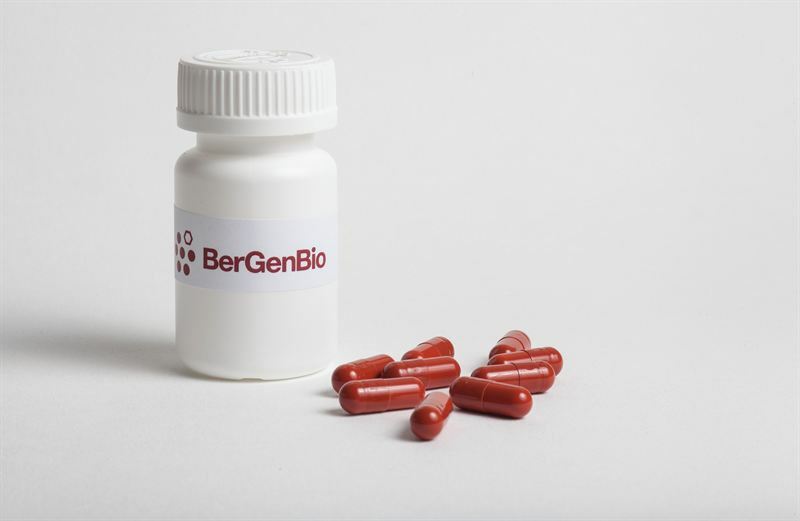 Bergen, Norway, 14 December 2017 – BerGenBio ASA (OSE: BGBIO), a clinical-stage biopharmaceutical company developing novel, selective Axl kinase inhibitors for multiple cancer indications, announces that the Company will be presenting recent clinical highlights at the DNB’s 8thAnnual Nordic Healthcare Conference in Oslo, Norway, today at 11:15-11:40 CET. The presentation will be delivered by Richard Godfrey, CEO, and the presented slides are available on the Company’s website: www.bergenbio.com. At the recent 2017 American Society of Hematology Annual Meeting, an ongoing phase II study reported encouraging early signs of efficacy of BGB324 as a monotherapy in difficult to treat relapsed/refractory AML and high risk MDS patients (BGBC003, NCT02488408). 35 patients have been treated with the AXL inhibitor as a single agent at a response rate of 19% and showing high correlation with three novel, predictive biomarker candidates. At the recent 2017 World Conference on Lung Cancer, an ongoing phase II study showed a 50% clinical benefit rate of BGB324 in combination with erlotinib in advanced EGFRm positive non-small cell lung cancer (NSCLC) patients who had previously progressed on erlotinib (BGBC004, NCT02424617). The Company furthermore announces that very encouraging early efficacy is seen in an investigator initiated phase I/II trial of BGB324 in combination with docetaxel in previously treated advanced NSCLC (BGBIL005, NCT02922777). Of six patients who completed at least one cycle of treatment, two experienced a partial response and two experienced stable disease (up to ten cycles). All four patients had progressed on prior platinum as well as checkpoint inhibitor therapy. The BGBC003 trial is a phase Ib/II multi-centre open label study of BGB324 as a single agent in patients with AML or high-risk MDS or in a combination with cytarabine and decitabine in AML patients. Up to 75 patients will be enrolled at centres in the US, Norway, Germany and Italy. For more information please access trial NCT02488408 at www.clinicaltrials.gov. The BGBC004 trial is a phase I/II multi-centre open-label study of BGB324 in combination with erlotinib in patients with previously treated, EGFR mutation driven Stage IIIb or Stage IV non-small cell lung cancer. Up to 66 patients will be enrolled at centres across in the US. For more information please access trial NCT02424617 at www.clinicaltrials.gov. The BGBIL005 trial is an investigator initiated phase I/II open-label study of BGB324 in combination with docetaxel in patients with previously treated Stage IV non-small cell lung cancer. Up to 30 patients will be enrolled at centres in Texas, USA. For more information please access trial NCT02922777 at www.clinicaltrials.gov. Six ph II clinical trials ongoing with first-in-class highly selective AXL inhibitor BGB324. Monotherapy data at 19% RR in relapsed/refractory AML and high-risk MDS reported at ASH. 50% CBR with BGB324 in combination with erlotinib in NSCLC reported at World Lung. BGB324 in combination with docetaxel as last line therapy in NSCLC showing very promising early efficacy at 66% CBR.